Sunbeam played host to Kat Von D’s conference and workshop. 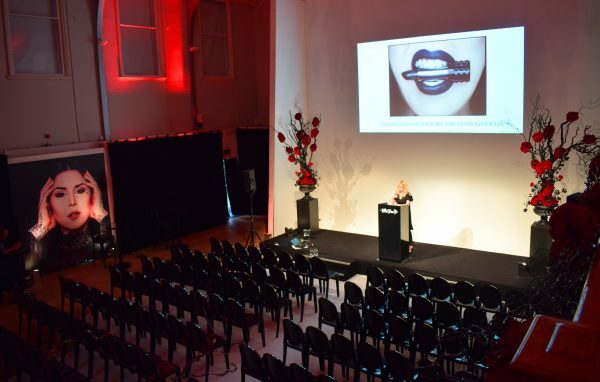 The team at Event Concept created a vision of gothic beauty with black furnishings awash with red lighting and the KVD logo projected onto the Sunbeam Talbot Automotive cameo. In line with the brand’s ethos, the Sunbeam Kitchen provided an entirely vegan menu throughout the day.